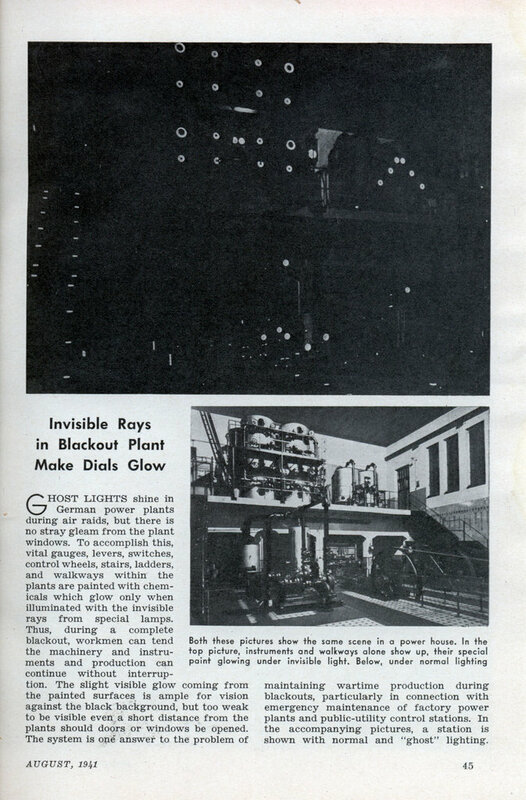 GHOST LIGHTS shine in German power plants during air raids, but there is no stray gleam from the plant windows. To accomplish this, vital gauges, levers, switches, control wheels, stairs, ladders, and walkways within the plants are painted with chemicals which glow only when illuminated with the invisible rays from special lamps. Thus, during a complete blackout, workmen can tend the machinery and instruments and production can continue without interruption. The slight visible glow coming from the painted surfaces is ample for vision against the black background, but too weak to be visible even a short distance from the plants should doors or windows be opened. 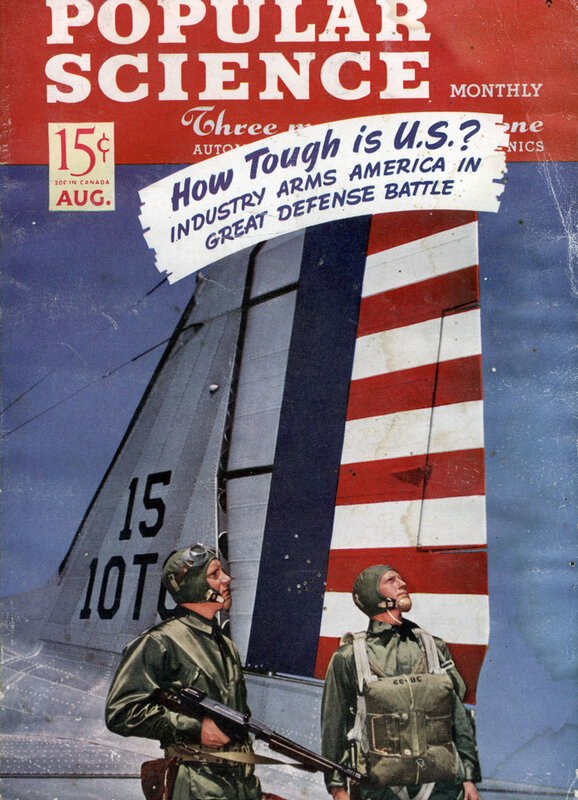 The system is one answer to the problem of maintaining wartime production during blackouts, particularly in connection with emergency maintenance of factory power plants and public-utility control stations. In the accompanying pictures, a station is shown with normal and “ghost” lighting. Hun scientists soon determined that French-baby fed unicorn tears produced insufficient lumens to paint their death gauges, prompting another Solution. In other words: don’t make light of German atrocity. I actually think the author of this blog made a quite intelligent remark. Yes, we cannot forget Nazi atrocities – but, for the love of truth and honesty, if we remember it, we must also bear in mind that no other country in the world has committed as many as the American people: from Salem and Central America in the 19th Century up to now, the carnificine of children and other innocent people has never stopped. So, be fair, Bill, and take a deep look in the mirror before you start pointing your finger. Germany has been peaceful for many years now, your country is still on its never-ending killing spree.